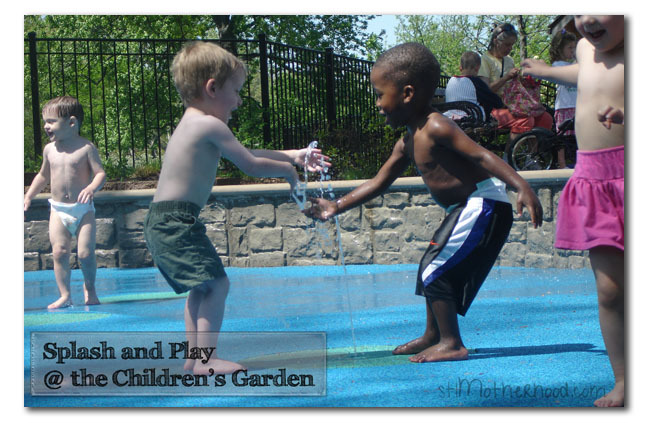 The Children’s Garden, inside the Missouri Botanical Garden, is an awesome play space for kids of any size. If you’re not familiar with the Children’s Garden, it’s a special kid section of the Botanical Garden with slides, a cave, tree houses, a riverboat, musical flowers (really!) and a splash pad in when the weather warms up. It’s the kinda place where you bring a towel, a change of clothes for the little one and a good book–you’re gonna be here a while! The Children’s Garden is located right next to the famous Climatron, so it’s not far from the entrance. Sorta. But be warned! If you want to include a tour of the whole Botanical Garden on your visit bring good walking shoes, water bottles and a stroller. Or a wagon. This is one place where I kept bringing the little red wagon for Mitch long past the toddler days. The whole garden is 75 acres, and they don’t waste a foot of it. You can easily spend all day here! 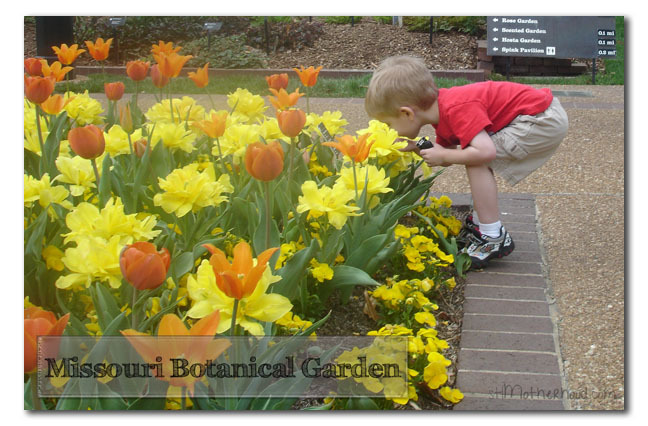 The Children’s Garden at the Missouri Botanical Garden is open from April to October. 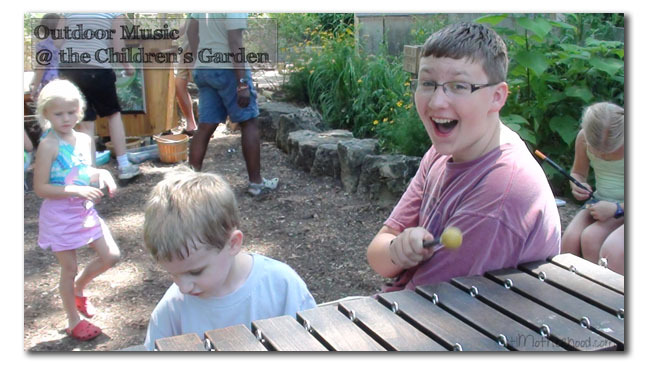 Fee: The Children’s Garden is $5 for kids 3-12, but adults are free. It works out nicely, because kids 3-12 are free to the regular garden, so you’re not paying “extra” for the kid area. Littles under 2 are free. 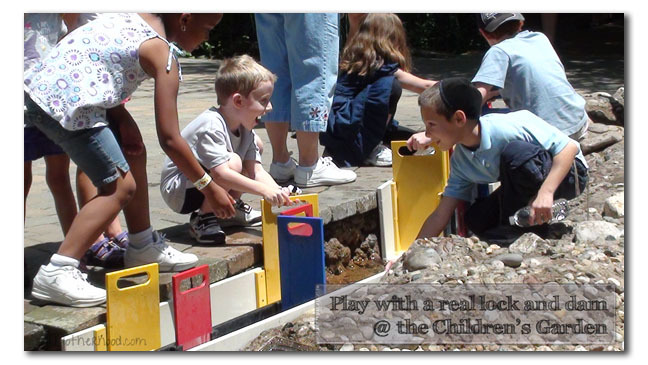 The Children’s Garden is free on Saturday’s before noon for residents. General admission for the Missouri Botanical Garden is $4 for St. Louis City and County residents (over 12); free on Wednesday and Saturday before noon. If you’re an “out of towner” admission is $8 for adults, free for kids. Confused? Visit the MoBot site for more details.